Occasional skin redness that we have inborn appears in the most improper times quite often, causing discomfort and loss of self-confidence. It seems that whatever problems we have inborn cannot have any solution and skin redness is a real problem for most of the women! However, wherever the problem occurs, it brings the solution with it too, and if there is a problem, there is, of course, also a cause! So, knowing your skin peculiarities and revealing the causes of the occasional redness, you will find the ways out easily. Well, here are some useful beauty tips	that will help you	reduce occasional skin redness easily! There can be many causes of the occasional redness flare-ups, such as stress, cosmetic products, skin’s peculiarities which react to weather, hot water, spicy food, caffeine and many procedures that are done with specific beauty products. The range goes on and on, because you can never know in what way your skin will react to something. So, now you know the causes and it’s time to prevent occasional skin redness. Start with your everyday products, check your skin reaction to them, be attentive and find out the ones, which conduct the process. If you are keen on drinking coffee regularly and with big proportions, it’s time to quit this habit. It also concerns spicy food. If you have allergic reactions to them, don’t go for the appetite. Another important factor is the hydration of your skin. Exfoliation will calm your skin down and make the hydration process faster. 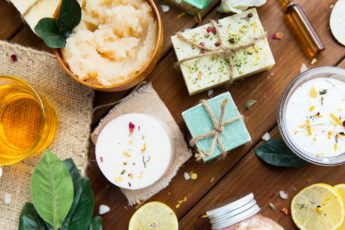 It is important to get some cleansing products that will moisturize your face, but if you don’t figure out the types and the formulas, it would be better to turn to cosmetic consultants for advice. Pay a visit and make sure that you use exactly what your skin needs. It’s not difficult to check whether your skin gets irritated from the sunlight or not. It’s visible, and surly you already have noticed it. So, if you have that problem, it also affects the occasional redness of your skin and too much time spent in the sunny weather may aggravate the situation. But it doesn’t mean that you are to sit at home and miss those sunny day. You just need to use sunscreen daily. It should be SPF 15 or higher in order to protect your skin. People, who have rosacea diagnosis, may not look for any other cause, as this is a fundamental reason for occasional skin redness. You should be attentive to the every product that you use; your skin is much more sensitive. Sometimes, for people having rosacea, doctors and cosmetologists prepare special cosmetics and beauty procedures to improve the condition. Your skin reacts to every ingredient, so you have to use the cleansers very gently. Moisturizing and exfoliating may calm your face down and prevent the redness. If the cleansers don’t bring the expected results, you may also turn to peels and laser procedures. The secret to natural flawless beauty is surely your healthy skin! So make sure to treat the skin problems that you have and only then move on to the perfect makeup look!